Spain, holidays, history, attractions. On Spanish, history, attractions, what to visit, how to get Spain's Canary Islands, Balearic. 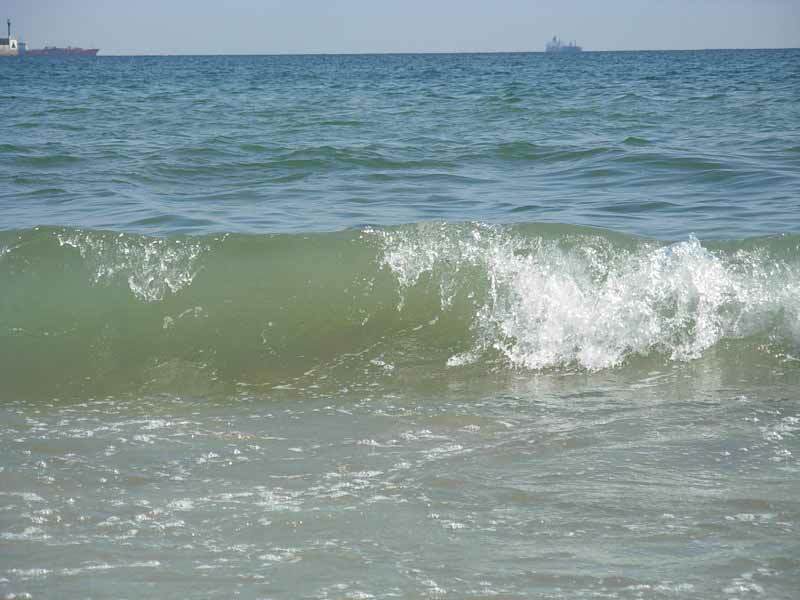 Costa Dorada is the golden shore. Official name: Kingdom of Spain. The head of state - King. Legislature is a bicameral parliament - the Cortes Generales (Congress of Deputies and Senate). Executive power is headed by the Prime Minister - the leader of the party, which gained the most votes in parliamentary elections. Administrative divisions: Spain has seventeen autonomous communities - Andalusia, Aragon, Asturias, Balearic Islands, Valencian Community, Galicia, the Canary Islands, Cantabria, Castilla-La Mancha, Castilla and Leon, Catalonia, La Rioja, Madrid, Murcia Region, Navarre , Basque Country, Extremadura and two cities in Africa (Ceuta, Melilla). Each of these communities shall elect its own parliament. Country in southwestern Europe (it takes more than four fifths the Iberian Peninsula, Balearic Islands and the Mediterranean and the Canaries in the Atlantic Ocean). Time : in mainland Spain and the Balearic Islands, behind Moscow 2:00, in the Canary Islands - 3 hours. Population : about 45 million people. 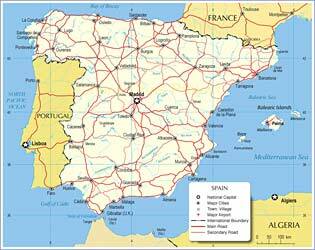 Spain is recognized as one nation, shaped by different historical regions and ethnic groups. Language : Spanish, in some regions - Catalan, Valencian, Basque (euskera), etc., but you will understand when explained in any of the major European languages​​. Religion : the dominant religion - Catholicism (about 97% of the population), but there are followers of Islam, Judaism, Buddhism, etc. Electricity: 220 B; 50 Hz. Madrid, Barcelona, Valencia, Granada, Andalucia, baleares island, the remnants of Atlantis - Canary Islands. 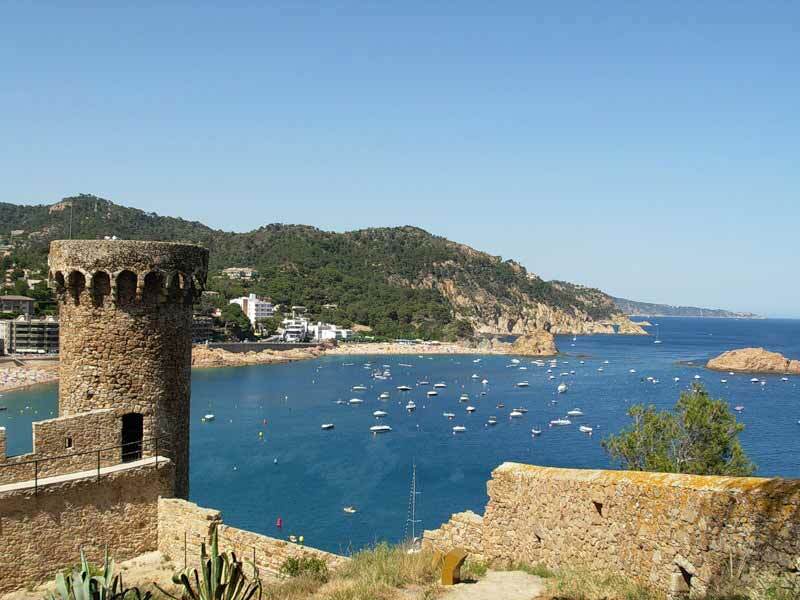 Flamenco, bullfighting, sun, sea, hospitable residents and good wine - all this will give you a trip to Spain. Staying in Spain, combined with the unique nature of pleasure and the possibility of Spain explore the history of various civilizations that have left their traces. 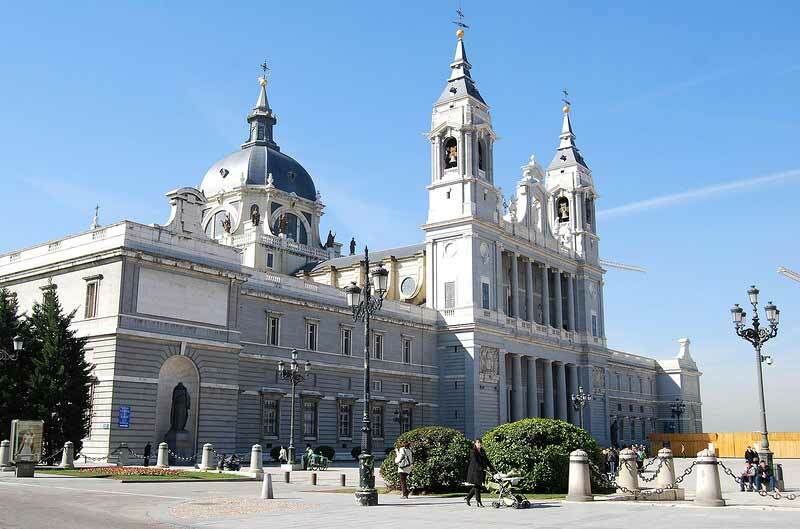 Indeed, one of the world's most famous museums - the Prado Museum, its collection includes more than 6 million pictures, lots of jewelry and religious collection. In addition, should visit the Picasso Museum in Spain, El Greco Museum and the Museum of Spanish Abstract Art. Santa Maria la Real de la Almudena, - the cathedral in Madrid. Costa Brava, Spain. 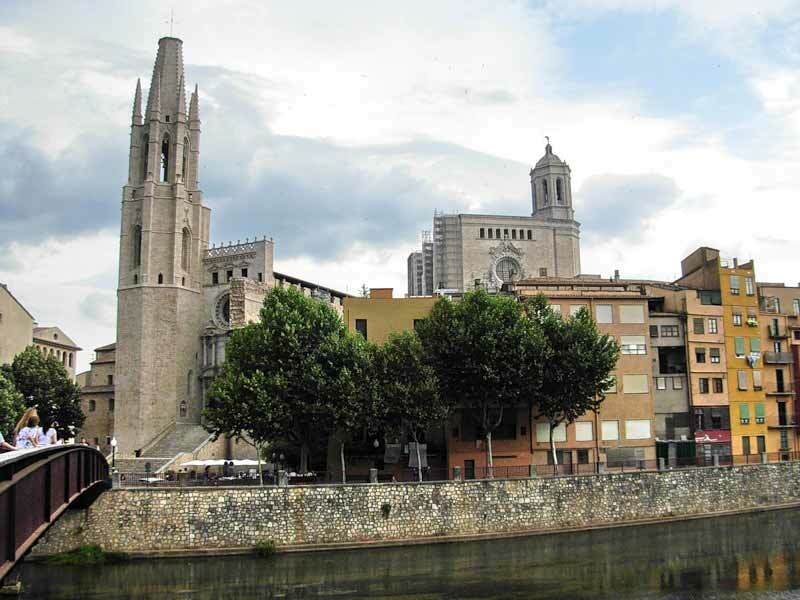 Gerona - a city in northeastern Spain. Costa Dorada. 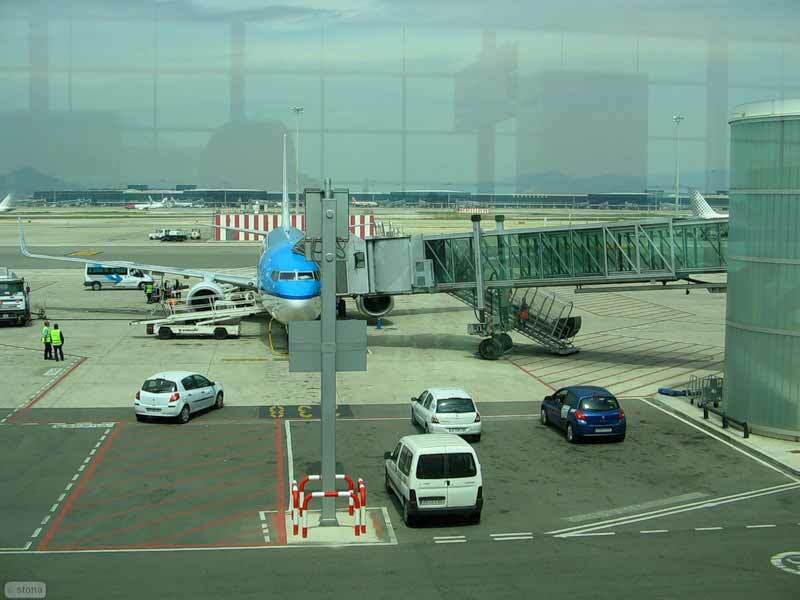 Barcelona International Airport. Botanical Garden Marimurtra. 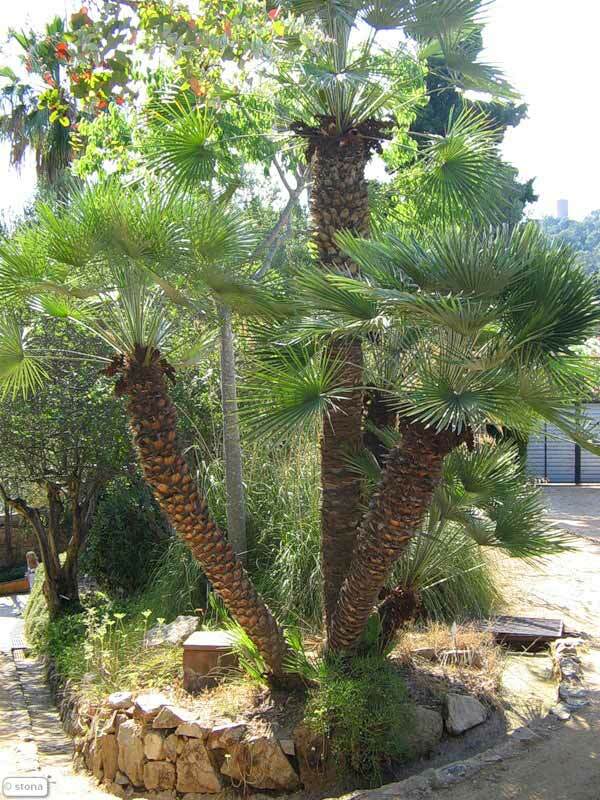 In most parts of Spain, a Mediterranean subtropical climate - hot dry summers and mild rainy winters. However, the climate varies from northwest to southeast, and depending on the height above sea level. Besides a large number of mountain ranges, the climate affects the close proximity of Africa. The average annual temperature in almost all over the country ranges from + 19 to + 26 ° C. But if in the northern and central Spain, the average January temperatures range from +8 to +10 ° C, and the hottest month (July) - from 18 to +21 ° C, on the Mediterranean coast winter temperatures range from + 10 to + 14 ° C, and make the July +28 ° C.
In southern Spain, the average daily temperature of +26 ° C almost 200 days a year. Most precipitation falls in the north and north-west, and central and south-eastern regions - arid, therefore, accepted conditionally divided Spain in the "wet" and "dry." In the Canary Islands climate is mostly tropical, the average winter temperature is 25 ° C.
The monetary unit of Spain - the euro. Banknotes are identical in all countries of the Euro zone. Differ only in the design of the coin of one of the parties, which were minted in each country in its own way (the second party is the same for all countries). Despite the difference in the design of one of the parties, the coins of all countries in the Euro zone are accepted in each of them. The system extends to tip waiters service in bars and restaurants, hotel maids, taxi drivers and tour guides, and 5-10% of the price. Payment of tipping is not mandatory, but if the client was satisfied with the service, a tip - a sign of good taste. Ground post is supported by a widely ramified network of roads and railways, and regular air flights, including budget airlines, carried out between all major cities. Contact the mainland with the African continent, the Balearic and Canary Islands provide passenger vessels. Transport: The metro runs from 06.00 am to 01.30. After 22.00 tickets are sold only through the underground machines. For those who use the subway more regularly, we recommend you purchase travel. Buses begin work at 06.00 am and end at midnight. Taxis serve only certain areas, when traveling outside of which fares are increased. Flag of Spain accepted 28 October 1981. The colors of the flag of Spain are historical for the most historically significant regions of Spain (former kingdoms), red - Leon, red and yellow - Castile, Aragon and Navarre. Undoubtedly, one of the most admired tourist attractions in Spain is its cuisine - or rather numerous regional cuisines, each of which has influenced the local climate and lifestyle. In general, the so-called "Mediterranean diet", using fresh vegetables, fruits, fish, seafood and olive oil, is recognized worldwide and is considered one of the most useful for a healthy lifestyle. As for Spanish wines, all of them - a worthy competitor to its French and Italian counterparts. 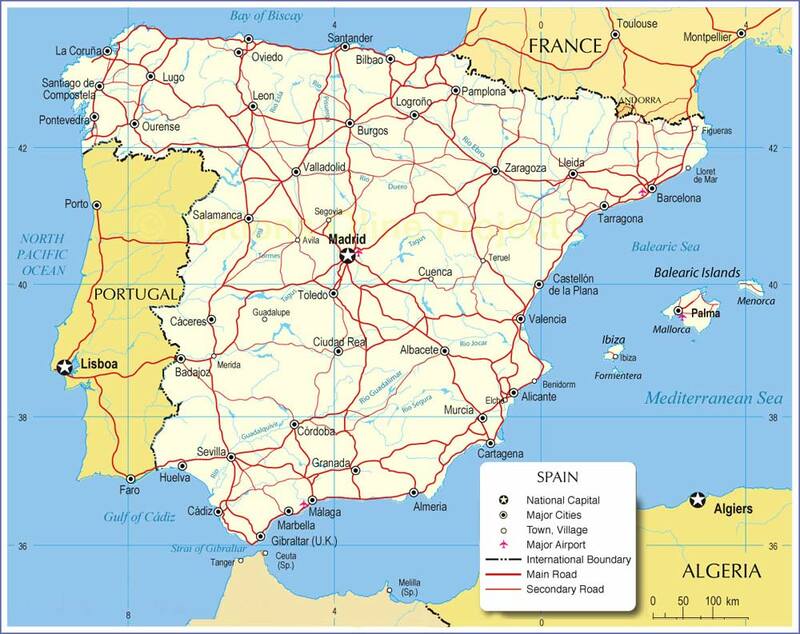 Spain can be divided into eight gastronomic zones, each of which is characterized by certain foods and beverages. In the North - prepared fish dishes of the Basque Country, is the famous cod "pil-pil" or cod Biscay, Asturian fabada, cheese and cider. In the Pyrenees area of ​​great ham, in Catalonia - hot "kasuela" garlic sauce "alioli" and spicy smoked sausage "fouettes." In Andalusia, you can try the excellent cold vegetable soup "gazpacho" and a great ham "Khabug" province of Huelva. Valencia is famous for a variety of rice dishes, among which the most famous "paella" (rice with vegetables, meat, fish, shrimp). In the Central zone - baked meat and the best sausage in Spain. In the Canary Islands, a kind of fish cuisine, widely used tropical fruits (bananas, avocados, papaya) in the main dishes and desserts. The Balearic Islands have drugged flavor of pork dishes, air puff pastry dough "ensaymadas" and sausages "sobrasada". Spain is among the world's three largest producers of wine. The country has 39 wine-producing areas with specific soil and climatic conditions that make the wine produced has an exceptional quality. Assigned a grade wines, indicating the authenticity of their origin, and guarantees high quality distinctive characteristics. Andalusia supplies the world market for the famous sherry, also known as sherry. In Catalonia, made a special sparkling wine - cava, and produced an excellent white wine, fruit punch on the basis of red wine - sangria. Wine in Spain, as a rule, fairly inexpensive.